Travis explains what goes into creating a successful top-of-funnel video. 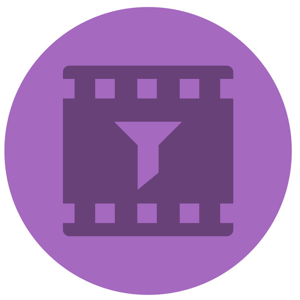 You’ll also learn how Travis targets video viewers with multiple video ad sequences. Travis got started with video back in 2011 when YouTube was starting to take off. He’d uploaded a few videos but hadn’t made any serious effort with video. Then he and his wife, who both consider themselves aspiring comedians, made a sketch video called “The Real Meaning of MPH.” They uploaded the video to YouTube so her brother, who didn’t have a smartphone, could see it. The video sat there for 3 months with something like seven views until a couple of Travis’s fraternity brothers found it, posted it, and it went mega-viral on the college campus. The video, which led to an interview on Good Morning America, blew up with organic traffic and generated $40K in ad revenue. Travis and his wife were just finishing college when he was thrown into this world with people such as devinsupertramp, Lindsey Stirling, and others who were doing a lot of cool stuff on YouTube back then. That path ultimately led to a job at Crispin Porter Bogusky in LA. Crispin Porter Bogusky, the agency behind Domino’s makeover campaign and the creepy Burger King campaigns, was a top agency in the 2000’s. The atmosphere was incredible and Travis learned a lot about the viral video world. The video, called The Selfie Shootout with Kobe Bryant and Lionel Messi, showed Bryant and Messi competing to take the best selfie around the world. Travis wasn’t very involved in the production but did dive completely into the distribution side. The largest influencer activation in history had 650 influencers and celebrities pointing to the video, and there was a big video FCO campaign. The ad spend was strategic and had a viral seeding component to it, and 20 interns who spoke different languages reached out to 8,000 editors in a matter of weeks. The campaign received more than 2,000 press features. The video ad itself got 140M views and 3M social shares, and to this day it remains the most viral ad of all time on YouTube—eventually receiving top honors at Google’s Viral Ad of the Decade event. From the agency, Travis moved to 20th Century Fox and then started Chamber Media in 2014. Why Scalable Social Video Ads Rather Than Viral Video? When he was at Crispin Porter Bogusky, Travis worked on genius creative ideas but noticed the ideas were often designed to win awards rather than for distribution. Once the video was done, they’d hand it over to an industry media buyer for ad buy and placement. Travis decided to put the creatives, the production team, and the ad buyers not only under the same roof but also at the same table. The content Chamber Media produces is developed for end use, not for pandering to award shows. Today, Chamber Media makes scalable social video ads, meaning they make high-production video funnels that convert and are scalable for profit. In the last year, they’ve doubled the ROI for three multimillion-dollar companies; a fourth is set to hit that same mark soon. Chamber Media started out working with Fortune 500 brands that wanted viral video. Then over the course of a couple of years, as the ad tech got better and YouTube tracking got better, Facebook ads became a thing. When Facebook started to outperform YouTube, Chamber Media began to shift away from organic viral seeding and distribution toward conversion-based video ads that acquired customers at scale. As the company made the shift, they realized there was a huge underserved segment of companies that don’t care whether their agency is an agency of record with a huge office in LA. They don’t want to do Superbowl ads. They’re not big enough to simply throw dollars at brand awareness like Nike does, and look at the overall lift. They want to acquire customers and they want to do it profitably. They need attribution, they need that tracking. Chamber Media started to serve those types of companies, and Travis says it’s been really rewarding because the goals of those mid-sized companies are aligned with his company’s goals. I ask Travis why video ads do so well on social media and he recalls the maxim, “A picture is worth a thousand words.” He goes on to extrapolate, if video gives you 25 or 30 frames per second, video gives you millions of words. He believes there’s nothing more persuasive than audio-visual content. When we talk funnels, everyone thinks website funnels. You visit a website and the funnel is the tripwire, the upsell, the side sell, and the email sequence that follows all of that. Most people in our industry, even those who are conversion-focused, put most of their efforts into this type of funnel. But Travis found that you can apply that same funnel philosophy to prospecting and bringing people into the high funnel with a long-form video, and then continue to retarget them in a very strategic way. This approach can actually get someone through a majority of what most people consider a traditional (website) funnel before they’ve even purchased from you or visited your website multiple times. If you can get somebody to watch 1–3 minutes of video, they’re already far into the funnel—meaning they know about you—so when you’re retargeting them, those ads are more of a reminder than a cold sell. Opposingly, the traditional approach is to push for traffic to a landing page and then convince people to buy with a billion tricky things. Simplified, someone watches a video on a platform that we as marketers don’t own (Facebook or YouTube, for instance), and we track how much of that video they watch, and then we show them another video on a platform we don’t own without them necessarily ever having visited our website. What Elements Make Up a Successful Video Funnel? Travis says his company has done dozens of these funnels and that his team is very critical of their own efforts when trying to determine the optimal suite of video that will convert as efficiently as possible. Travis puts 20%–40% of the ad budget behind the top-of-funnel video; the balance of the budget is placed behind the mid- and low-funnel content. When someone has either watched 10%–20% of the top-of-funnel video and/or visited the website, they’re in the funnel. The decision for that qualifying percentage of view time is based on the timestamp of where the brand is introduced. Dynamic retargeting of those people is then based on which pages of the website were visited, whether someone went to the checkout cart, filled out the lead form, and so on. Depending on the action taken, they’re served a new video that puts them into a sequence of customer testimonials, videos that help them overcome concerns, discount offers, before-and-after videos, product demos, meme videos with text overlays and music showing the product, and others. There are a good half-dozen categories and types of videos that are served. Travis has found that a 1- to 5-minute spokesperson video is the most powerful touchpoint. Peers and even Facebook reps disagree with this suggested length and have told Travis to avoid anything longer than 1 minute but he’s confident he’s got it right. Travis says these spokesperson videos work because people respond to human faces; it’s the way people have been buying products for thousands of years. Humans have been selling to humans for so long that we’re just programmed to interact with a face. We go to the market and buy our produce from a person. We look at their face, and judge their credibility by how they speak and how they sell, and then decide whether we want to do business with that person. Other formats can work, but Travis has found that spokesperson videos outperform everything he’s tried. A basic spokesperson video uses one person to deliver the script. During that delivery, cutaways to other actors are used as pattern disrupts to keep viewers engaged and watching. The spokespeople are instructed to speak as fast as they can, and the videos are even sped up anywhere from 2% to 12% because people can listen much faster than they can talk. Every few seconds, the camera moves in on the spokesperson’s face and then out to show what’s happening behind them—again, to keep people watching. Everything is focused on getting people to watch as long as possible because the longer they watch, the more likely they are to buy. Travis notes that while he’s worked with A-List celebrities and recognized influencers in the past, the spokesperson doesn’t have to be famous. To illustrate, his company just did a 2.5-minute video for CreditRepair.com in which they worked with a no-name actor out of LA. The goal of the video was to help people fully understand that they can get help and fix their credit. To avoid making people feel like they’re being preached to, they made the video pretty self-deprecating. They set the video in a baseball stadium with 400 extras. The spokesperson explains how your credit score affects your life, and as she’s swinging at baseballs, foul balls are hitting people in the stands and their credit scores go down. When a guy gets hit and drops his popcorn, she explains that people in the front row seats have good credit and pay a normal price for a hot dog. Then she explains that people in the back rows are paying double and triple prices for a hot dog. On average, mid-level funnel content is 5–30 seconds long. Mid-Level testimonial videos are the exception and can be 5 minutes long but Travis doesn’t yet recommend a definitive length for them. Travis says they always use landscape video for YouTube but tend to use square video most of the time on Facebook. Sometimes they reserve some blank background space at the bottom or top of the screen for text. The videos are always subtitled. Sometimes, for the whole video, they’ll include motion graphic text overlays that switch positions, appearing at the top of the video then at the bottom—again, for pattern disrupt. The difference between mid-level and low-level funnel content is in the level of aggressiveness. In mid-level, we’re still trying to somewhat entertain and educate while we’re overcoming concerns and objections. Before they shoot any footage, the team uses information and historical data from the customer service department to identify FAQs and the main cause of returns. They combine that list with a list of reasonable assumptions such as price, shipping, quality, or trust. They usually end up with about a dozen concerns. Then they address each point in a series of videos designed to help someone overcome their concerns about committing to a purchase. To visualize this, Nerd Skincare had done $20K in sales when they came to Chamber Media. Of the 10 videos the team produced to overcome concerns, one dealt with price. People who began filling a cart but didn’t complete a purchase were then retargeted with a video that explained why the product is priced the way it is. The video converted well, and in 8 months Nerd Skincare did $4M in sales. Discounts are often part of low-funnel video ads and based on the consideration time, the sequence will deliver ads on a predetermined schedule. Usually, the intervals are at 7, 14 and 21 days but if the product has a longer consideration time, the intervals are spaced wider at 20 and 30 days. Regardless of interval, the discount can get progressively higher. The goal of offering the discount is to persuade people who aren’t quite interested enough to purchase at full price to purchase at a reduced price. Listen to the show to hear why Travis retargets all website visitors. Most often, testimonials are a mid-funnel thing. Travis says the success of a testimonial is one of the most difficult things to predict and they typically don’t do as well for prospecting because they’re not very interesting. What makes a testimonial work is raw production, video that’s a little grainy and shaky, like a video that someone recorded in their house. Testimonials need to be authentic, so Travis never shoots them. They always use user-generated content, otherwise known as UGC. Because testimonials don’t often capture attention, Travis serves this type of video ad only after people have demonstrated interest in the product and are trying to decide whether to purchase. That said, there are anomalies. Skincare marketing, for instance, is strongly testimonial-based because there’s so much snake oil out there. Testimonials are the only way people can see if the product works. Before-and-after videos only apply to certain product categories such as skincare or cleaning products. They work well because before-and-after photos can get flagged and shut down by Facebook’s algorithm. The video then shows the founder of Nerd Skincare wearing a helmet/GoPro camera for 7 days without washing her face. After the seven days, she began using the product and her skin quickly cleared up. While this type of video is often used at the mid-level, product demonstrations can work for products that are really interesting at the top level. This is especially important because Travis has found that only half of people respond to the high-end production videos used at the top of the funnel. The other half of people don’t want to see the brand showcased in a beautiful, polished, or professional manner; they don’t want to be persuaded or convinced. They simply want to see the product perform and the footage can be well-produced or raw UGC. Travis shares a Mr. Cool video that showcases DIY installation of the A/C unit as a good example of this type of top-of-funnel video. Travis and his team test every type of production because every once in a while, a really weird piece of product demo content works. Even though it makes no sense, you can scale the thing to the freaking moon. Travis has had very strange videos he never thought would work that scaled and converted so well that they’ve ended up putting $1M or $2M in ad spend behind them. Travis says one of the best examples of a product demo he’s seen isn’t even from his client. The Floyd Mayweather’s Snow Teeth has a simple product demo. There’s nothing incredible about it, but they’re using the video at the top level for prospecting. Judging by how many times he’s seen the video, Travis strongly suspects they’ve put substantial budget behind it. What’s the Expected ROI From Video Ads? 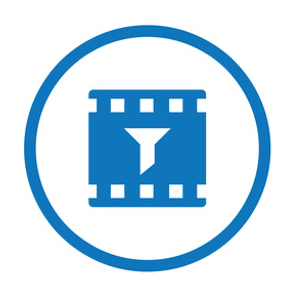 The ROI on video ad funnels varies by product. For instance, the ROI on the Mr. Cool DIY A/C unit he works with is different than the ROI on the $18 deodorant he works with. Travis doesn’t want anyone to think they have to do something with huge production to be successful. He’s seen brands scale into the tens of millions with what can be considered fairly poor content. This happens most often with an incredible product that doesn’t take a ton of persuasion—people just get it. He recommends looking at the quality of production as good, better, and best. The more you produce, the better the funnel is, the more scalable it is. Generally, however, if you can get a one-to-one return on your first touchpoint, you’ll get good ROI. Plus there’s a very high likelihood that you’ll get a two and a half-, three-, and four-to-one return. If you’re in the top 10%, you can even get a five-to-one return. For every $1 you spend, you’ll get $5 over the lifetime value of the customer. 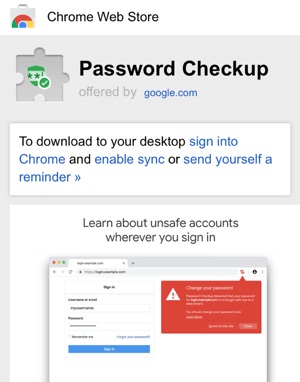 Password Checkup by Google is a free Chrome extension that helps you re-secure accounts on sites that have been recently affected by a data breach. When you’re signed into a site from inside the Chrome browser, you’ll get an alert if the site has had a recent data breach along with a reminder to update your password. The extension is similar to 1Password’s Watchtower, which notifies its user to change a password because of a data breach. Password Checkup is a bit more proactive because the extension alerts you as you visit a site from inside Chrome. If you’re not up to date with which sites have had data breaches recently, this is a good tool to help you stay ahead of things. Security is no joke. Listen to the show to hear more about Password Checkup. Visit Chamber Media to browse sample scalable videos and case studies. Connect with Travis Chambers on LinkedIn. Explore Crispin Porter Bogusky and the Turkish Airlines Selfie Shootout video. Secure your online accounts with Password Checkup. What do you think? 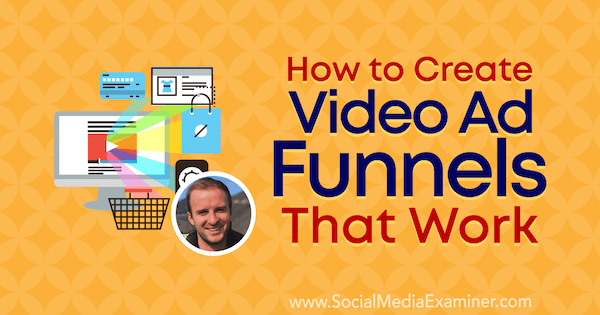 What are your thoughts on video in sales funnels? Please share your comments below.